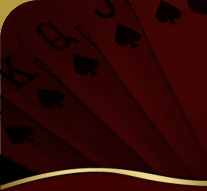 Da Vincis Gold Casino is an online casino powered by Rival Gaming The casino was founded by professionals from the gaming industry who love gambling and wanted to bring back the fun and personal touch to the game. It was an added bonus to discover that they also cater for South African Players by adding the Rand Currency option. 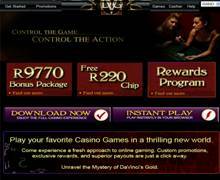 Da Vincis Gold Casino is offering R220.00 Free - No deposit required plus additional bonuses up to R9 770.00. They also accept play in Euros, dollars and pounds in addition to Rand currency. Da Vincis Gold Casino has a wide variety of more than 80 games including 10 Classic 3 Reel Slots, 25 Video Slots, 4 Progressive Jackpots, 12 table games, 7 Video Poker games and unique 14 iSlots. i-Slots are interactive slot machines which combine a video game with gambling. Each i-Slots has its own unique bonus rounds and expanding wilds, so make sure to check the payout tables before you start playing. 24 hour support is available via online chat, phone, and email. Deposit Options: Visa, MasterCard, Moneybookers, Neteller, Click2Pay, ClickandBuy and Ecocard. Payout Options: Moneybookers, Neteller, Click2Pay, ClickandBuy, and Ecocard.